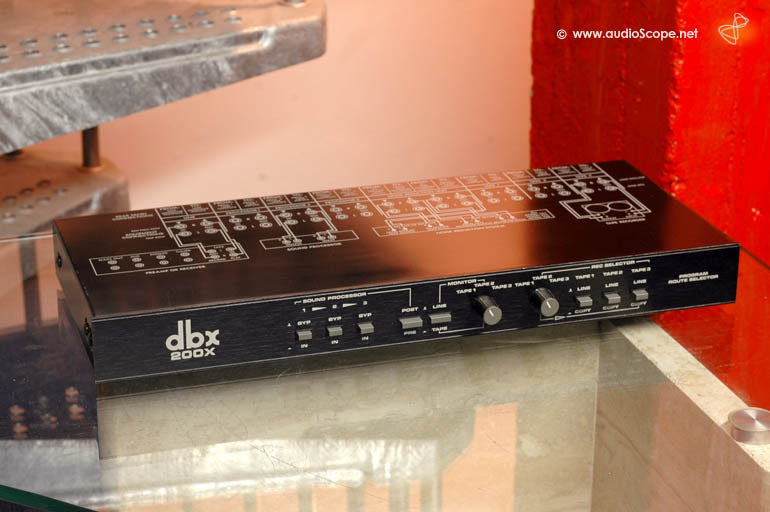 dbx 200 x Routing Unit, GOLD! for sale. Top » Gallery (SOLD) » RTR Tape Decks » dbx 200x Routing Einheit, Spitze! dbx 200 x Routing Unit, GOLD! dbx 200x Routing Unit, GOLD! Up to 3 Tape Recorders run with up to 3 different noise reduction units without patching. Very useful tool. Very rare. Passive operation.